What’s more fun than watching the big game with friends? Eating your way through the big game with friends. 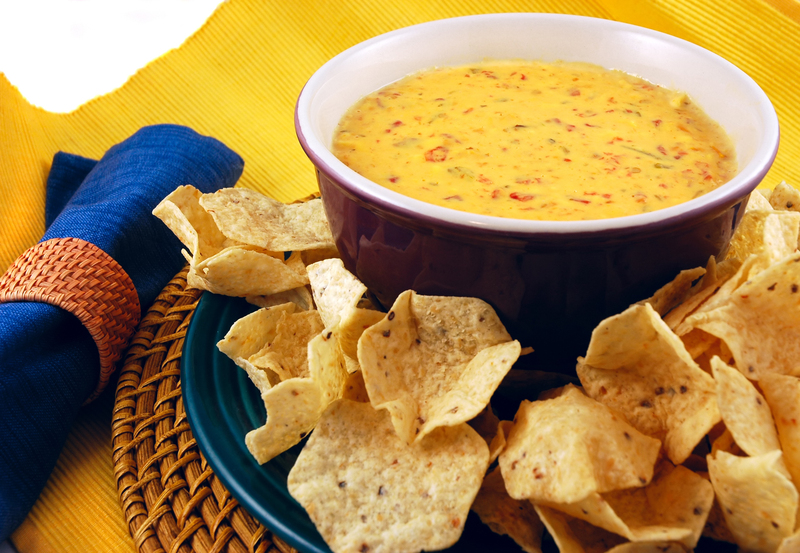 These 8 delicious snacks will sure to be crowd-pleasers come game day. 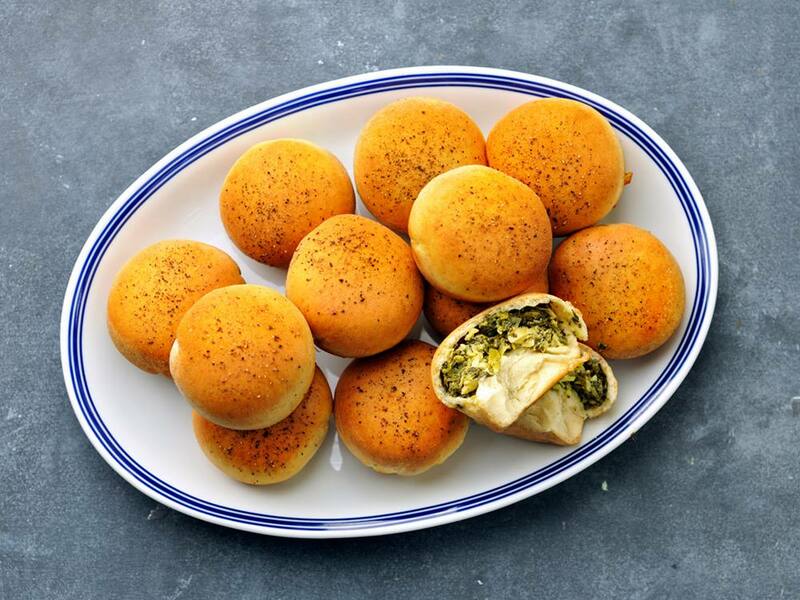 Guests have never seen spinach-artichoke dip like this—its creaminess tucked into individual pieces of dough. It’s less messy, more portable, and an instant conversation starter. No frying needed! 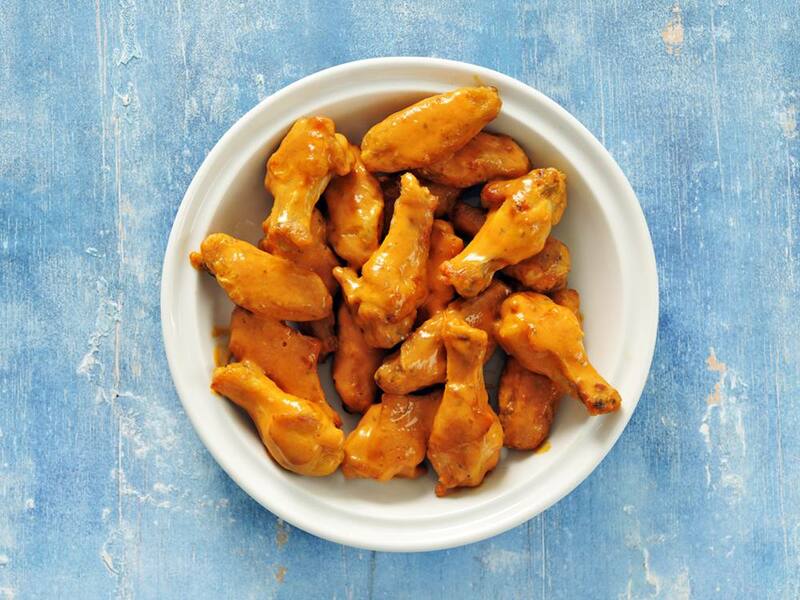 These wings get crispy courtesy of a broiler and 450°F hot oven. 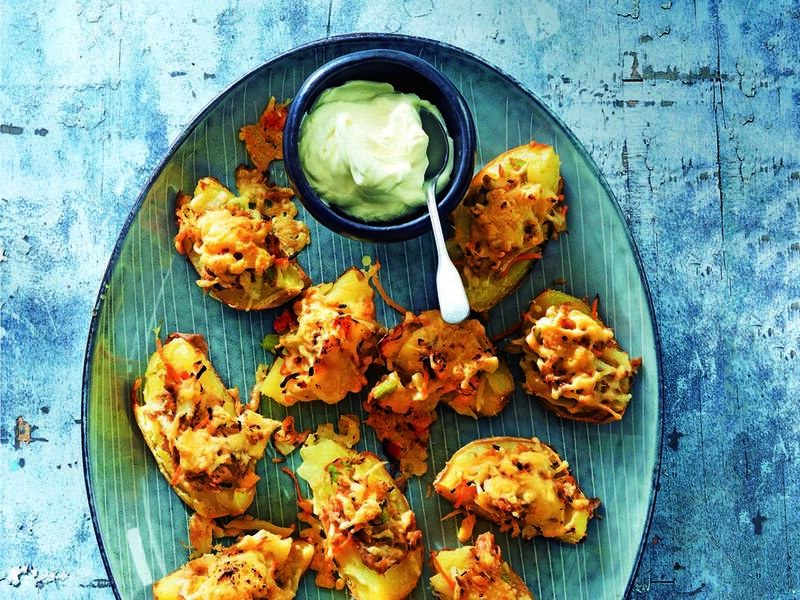 Their shining glory though is the coating combination of hot sauce and blue cheese dressing which turn these into an unforgettable appetizer. 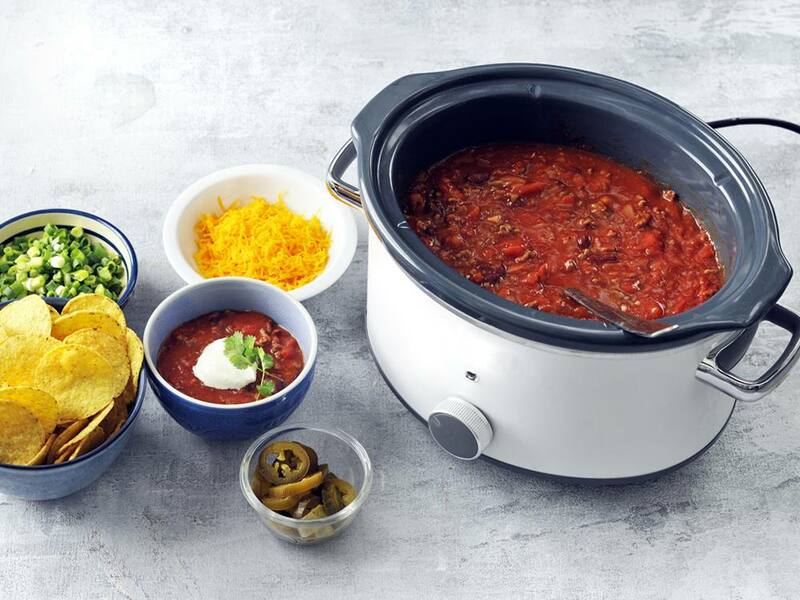 The slow cooker goes to work keeping the chili piping hot which means less hassle for you. Set out a bar of toppings (tortilla chips! cheese! sour cream!) to let guests customize their bowls, turn them into tacos. While this cheese-alicious crowd-pleaser is traditionally served with tortilla chips or warm tortillas, it’s also a winner with bagel chips or pretzels. Crispy spud skins get piled high with chicken sausage and peppers and then smothered by melty mozzarella for this twist on a classic finger food. What’s better than nachos? 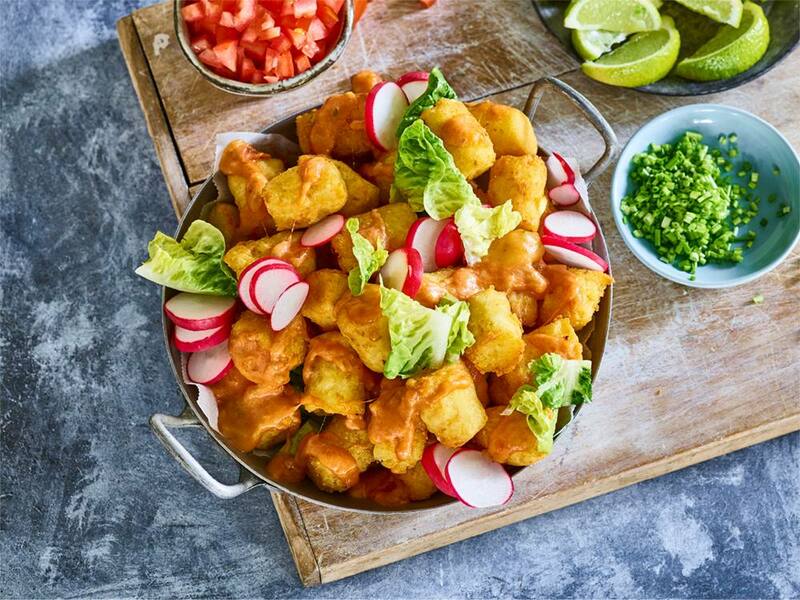 Just a genius version featuring tater tots in the starring role supported by a creamy spicy cheese sauce, salsa, and other fixings. 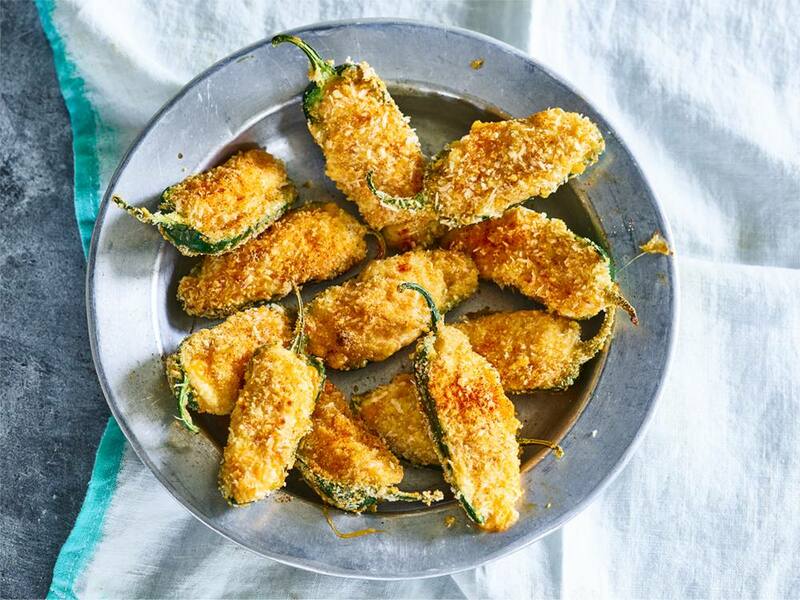 Cream cheese-stuffed jalapeños get the crunch treatment courtesy of cornflake crumbs, eliminating the need for a deep fryer while still being just as delicious as their fried counterpart. 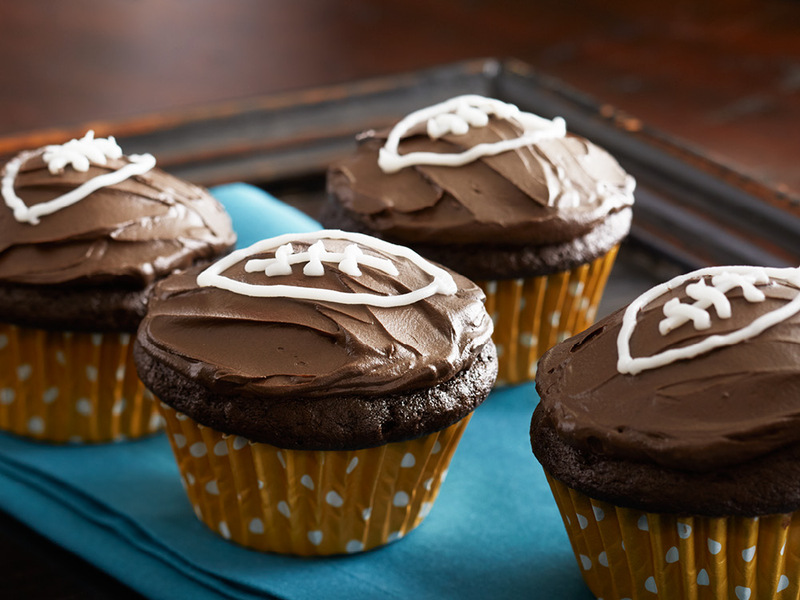 End on a sweet note with these adorable beer-infused, football-decorated cupcakes. Stout enhances the chocolate intensity making this a win-win.